There was 6 in stock on 22 April 2019 at 08:30. Well balanced sports touring radial, offering a riding enjoyment with peace of mind. While inheriting the fine handling and superior dry performance of the T30, the T30EVO has improved performance in the wet condition with new tread compounds and a newly designed tread pattern. 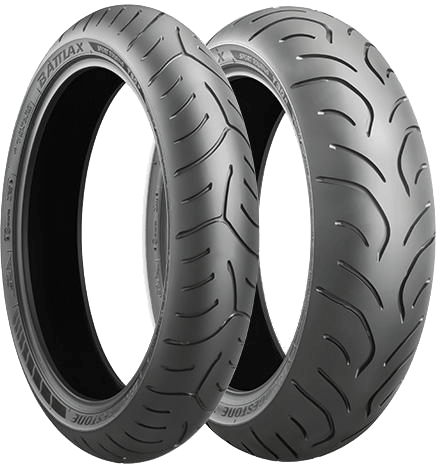 Offering the high dry and wet performance as well as straight-line stability required for a touring tire, the T30 EVO makes long-distance touring safer and more enjoyable. Riders who enjoy winding road even with a touring motorcycle or tires. Riders who enjoy riding even with a super sports bike with touring tires. Riders who want high performance in wet conditions. Riders who want to safely ride even if caught in a sudden rain shower or touring.